Harris Health recognizes that accurate documentation, coding, and billing is a critical component to providing quality healthcare and obtaining proper reimbursement. 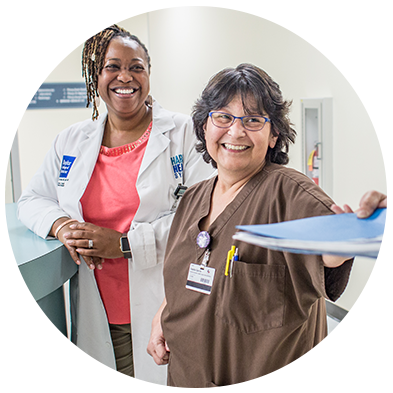 Therefore, Harris Health is committed to timely billing and coding that accurately reflects the services ordered and performed and is in accordance with all federal and state laws and regulations. To document accurate, timely, and complete patient information regarding the services that were provided as part of a patient’s care and treatment. To only bill for services or items that are medically necessary and that are documented in a patient’s medical record. Harris Health will not knowingly submit for payment or reimbursement a claim that is false, fraudulent, or fictitious. To waive co-payments and deductibles in accordance with applicable laws, regulations, and Harris Health policies. To respond to all questions and complaints regarding a patient’s bill in a timely, direct, and honest manner. A co-worker, who has responsibility to review and resolve billing edits, has mentioned that she applies certain modifiers because she knows that if she doesn’t, the hospital will not get paid. Should I let someone know? Yes, you should contact the Office of Corporate Compliance to report this situation. If medical documentation does not support the addition of the modifier, Harris Health may need to repay all payments with the modifier that it had previously received. Some of my family members are patients at the Harris Health clinic where I work. I would like to give them a “friends and family” discount and not require them to pay any co-pay or deductible and just accept whatever their insurance company will pay. Am I allowed to do this? No. Medicare regulations expressly prohibit covered entities from waiving copayments or deductibles for any patient unless the patient meets certain indigent requirements.